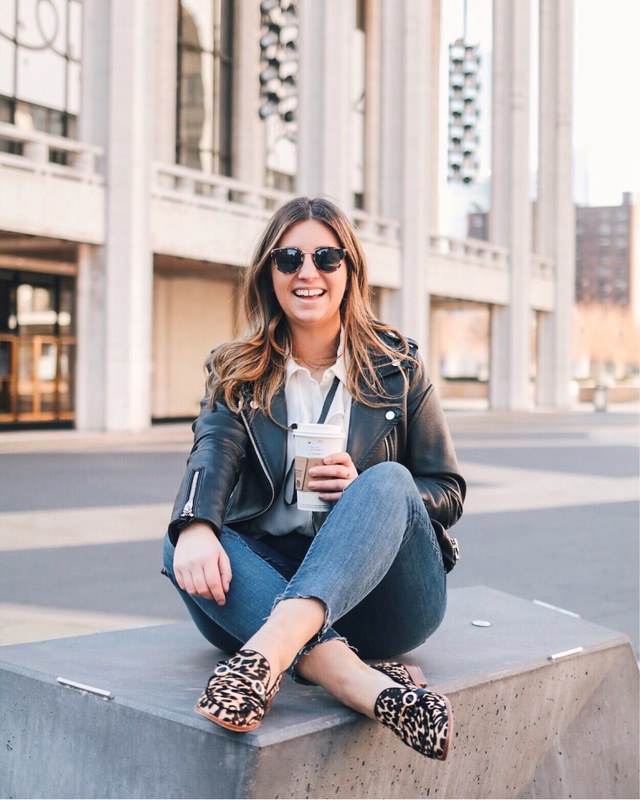 Spring is SO close I can feel it… or maybe it’s just the fact that I’ll be in Cuba’s 80 degree weather in less than a week, but either way I’m ready to embrace a few of my favorite spring trends. I’ve already posted about bell sleeves which have to be my favorite transitional trend, but I wanted to share a few more with you today. 1) Neck Scarf – This is one of those trends that I’ve always loved but when way too intimidated to try until yesterday. There are so many fun silk scarves at LOFT so I had to pick one up to try and this pink and blue scarf ended up being the perfect one, but I also love this one and this one. All you have to do to tie it is fold the scarf corner to corner, roll from the point in, wrap two times around your neck and tie a knot! 2) Off The Shoulder – Ok ok I know that off the shoulder is nothing new, but it’s still super ‘in’ this season. The best part of the off the shoulder trend becoming more of a classic rather than a real trend is that it no longer has to be the main statement of your outfit. This season let your off the shoulder top or dress take the backseat and pair it with a fun neck scarf (duh), bold necklace, or even find a top that is both off the shoulder and has crazy bell sleeves (like this one or this one).